Our Freelancer Bundle comes with the following extensions which have been specially chosen to fit a Freelancers needs. We’ve freelanced for a long time before we developed Zero BS CRM. 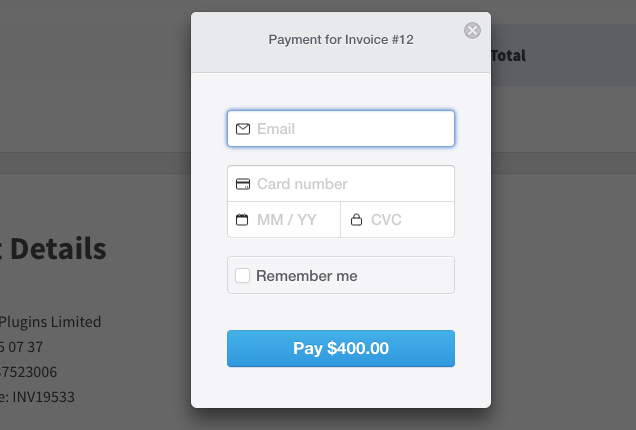 Invoicing Pro powers-up your Client Portal and lets your customers PAY YOU ONLINE. Invoicing Pro lets your clients pay invoices from the client portal. You can choose to allow payment using stripe. Or you can use the famiiar PayPal for invoice payments. The Mail Campaigns extension lets you email your customers. You can choose exactly which customers to target. Send emails to everyone who has bought product A and offer them a new add on with a special discount. Or email all your customers who have spent over $1,000 with a special VIP treatment. Segment your customers with tags and then email them using the powerful Mail Campaigns extension. Customers start off as LEADS. Take your Lead Generation to the next level by using the amazing Gravity Forms Extension. Freelancer Bundle is included in the Entrepreneur's Bundle - join the other happy entrepreneur's, save $$$ per year and get instant access to every extension!